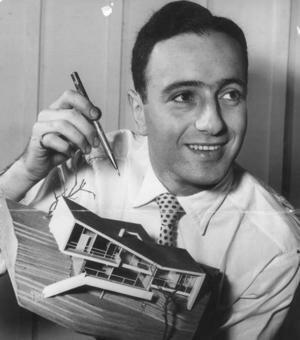 Generously funded by Dr Penelope Seidler AM and the Seidler Architectural Foundation, The Seidler PhD Scholarship aims to advance knowledge in modern architecture in an Australian context. The aims have been kept deliberately broad to encourage innovative proposals in theoretical, methodological and/or topical terms. Some connection to the work and ideals of Harry Seidler is encouraged. The Seidler PhD Scholarship comprises a stipend of $35,000 p.a. over three years, paid on a fortnightly basis. 1. Complete an Expression of Interest (EOI) form to undertake postgraduate research at BE UNSW, available from this link: https://www.be.unsw.edu.au/research-degrees/doctor-of-philosophy-phd/application. Please note that the contact details of two Academic Referees need to be provided in the form. 2. Write a separate 500 word statement clearly outlining the way in which your PhD research proposal responds to the aim of the scholarship. 3. Submit your EOI form (with required attachments and this scholarship statement) to juditho@fbe.unsw.edu.au. Please include “Seidler PhD Scholarship” in the subject line of the email.